Alludo makes online learning easy, fun, and impactful for educators and students. Ready to see what blended learning can do? You can use any Google or Gmail, Office 365 , Facebook or Twitter account. 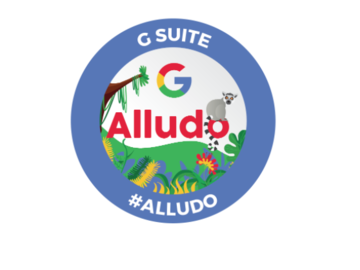 With Alludo, you can track your progress, earn badges, and engage in friendly competition. We need some form of authentication just so we tell you apart from the other players. When you use Alludo in your district, users will configure their profile to include which school they are at. For the Demo games, you need to just select "Demo" as your School and save your profile. 4. You are ready to "Play This Game"! Lastly we will set up the demo games for you. If given the option, select on your desired demo game again, then on the "Play this game" link where you will get an overview of the game before you start, and that's it! Setting up your demo profile is a one time task. Every subsequent time you click on your desired demo game, you will be taken right in.